Your destination wedding is a once-in-a-lifetime event … and likely also one of the largest events you’ll ever be responsible for. Planning the perfect day can be daunting, especially when you live hundreds (or thousands) of miles from your venue. These five questions will help you plan with confidence and arrive worry-free. You’ll need to answer this one first, because it will guide all the rest of your planning. You’ve picked a beach wedding, but not all beaches — or beach venues — are created equal. For example, beaches on the west coast of Florida are famous for sugar-white sands and beautiful sunsets. Beaches on the east coast have light brown or gray sand and impressive sunrises. Some beaches are highly popular and packed with tourists, others are private and secluded but maybe harder to access. Do you want to get married with your bare feet in the sand, or in at a chic beachfront venue in high heels? Whichever you choose, think about the closest location and ease of access for you and your party to get dressed. Does your venue have a bridal suite for you to get ready? Is there easy public transportation from your hotel to the venue? An event specialist at your venue should be able to help answer these questions. Finally, think about the reception. Do you envision something outside in the sun, under a tent on the beach, or entirely indoors? How much will my destination beach wedding cost? There are destination beach weddings out there for all budgets, from simple ceremonies in the sand to lavish parties for hundreds of guests. Many beachside venues will take care of all the local details for you, but remember that a far-away wedding will also come with airfare, hotels, non-wedding activities for you and your guests, and a planner if you choose to hire one. It’s a smart strategy to create a budget with estimated costs, then fill in your actual costs as you book. We have ceremony and reception packages that make planning your destination beach wedding for every style and budget. Speak with your preferred venues to make sure you’re getting the best value for your money. Find out what’s included in their package prices, how much any additions you want might cost, and if they can provide referrals for services they don’t offer. 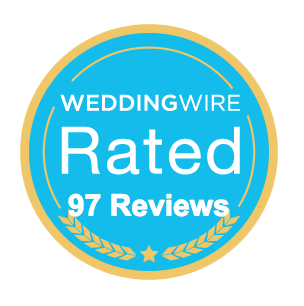 The list is long: catering, cake, music, accommodations for you and your guests, decorations, an officiant, photography, and so on. Having a list of local, trusted vendors from your venue can be a real life-saver. You’ll also want to check in with the venue for event particulars like noise curfews, guest parking, alcohol restrictions, and inclement weather plans. You’re dreaming of that perfect sunset wedding photo, but Mother Nature can be unpredictable. Check the weather forecast and look for not only temperature but humidity. Ask your venue’s event coordinator what the weather is typically like during the month of your wedding. You can Google this information, too, for historical data. Also, don’t forget that hurricane season runs from June 1 through November 30. Give extra planning points to a venue that can easily get you out of the elements without eliminating your beautiful view. Your destination beach wedding may only last a day, but the party can last all weekend, or even all week! Check with your venue about local attractions, the best restaurants, and fun activities to keep your guests entertained during their stay. Put together a local guide for out-of-town travelers, and consider arranging some group activities. It will make your wedding truly an experience to remember!